In this post we’re going to build a super fast face detector! 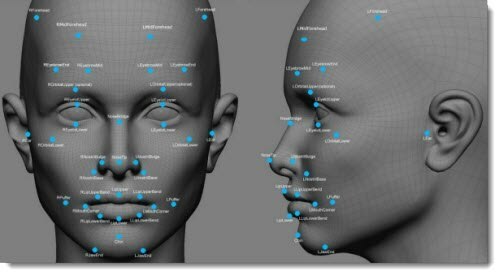 Face detection, a sub problem of object detection , is a challenging task due to the fact that faces may appear in various pose, scale, facial expression, occlusion, and lighting settings. One of the simplest and common ways to perform an object detection in the world of deep neural networks is a sliding window approach where an image is scanned sequentially, by running a network on it, inspecting each fixed size window at a time. Unfortunately, despite giving (if trained correctly) promising accuracy ,this routine is costly and therefore greatly degenerates a given detector speed. A better solution would be to transform a given network into a fully-convolutional network by converting fully-connected layers to convolution layers. The reason therefore lay in the fact that convolutional outputs are shared between multiple windows. The output of a fully convolutional network (FCN) on a given image is a probability map for the existence of the object in each window. The size of the window is the network input size while the stride between each window is decided by the amount of down sampling the network performs. Each cell (i, j) in the heat-map contains the probability for an object (a face in our case) to exist in a window with bottom left point (32i, 32j) of spatial size 32 × 32. When inspecting a specific window at some size we’d need to binary classify it deciding weather the pixels in that window constitutes a face or not. Training is done on mini-batches while minimizing a cross entropy loss function. print("==> online epoch # " .. epoch .. ' [batchSize = ' ..
We plot the cost function value for test and train after each epoch and monitor the classification error. Also compactly saving the model at end. We see that generalization succeeded (blue curve is hidden by the green one) with a classification error of 0.0145836. Step 2: Repeat step 1 only this time with 24×24 and 48×48 sized windows. The difference from the previous step is the source of the negative labels. For the 24×24 net, each window classified as positive in the 12×12 net would now serve as a negative example. This method is known as negative boostraping. Apply same to the 48×48 net w.r.t 24×24. So far We have built three stand-alone convolutional networks which constitutes the main building blocks of the face detector we just about to describe its pipeline. Given a test image, we’d want quickly to perform a dense scan to reject as much as possible of the detection windows though maintaining a high recall (eliminate many false negatives but keep many true positives). The 12×12 net is fast in that sense due to its relatively shallowness. There is a problem however. Practically a face in an image could come up with different sizes (not necessarily fit to the fixed convolution nets input size). Thus we must scan the image across different scales. In computer vision this is called an image pyramid. If the face size is X, the test image is first built into image pyramid to cover faces at different scales and each level in the image pyramid is re-sized by 12X as the input image for the 12×12 net. -- on face sizes. Acurracy vs performance tradeoff. -- all the scales you with to check. Therefore the result of that dense scan across different scales (via the 12×12 net) is a map of confidence scores for faces detections. A side effect due to the many small windows involved could be an overflow of positive overlapped detection. Non-maximum suppression (NMS) is applied to eliminate highly overlapped detection windows. The remaining detection windows are cropped out and resized into 24×24 images. Then serve as input images for the 24×24 to further reject many of the remaining detection windows. Same as before, the positive detection windows are applied with NMS to further reduce the number of detection windows. Now repeat Step 3 but change everywhere from 12×12 to 24×24 and 24×24 to 48×48. To evaluate the detector we’d use the Face Detection Data Set and Benchmark. We’d need to save the detections in the elliptical format described here. After running the evaluator, the reported recall is 0.924272 with an average running speed of 27ms per image without code optimization (on a G-force gtx 980 ti GPU). The precision wasn’t so good though. I suspect the reason is due to the format conversion loss between the bounding box and the ellipse. 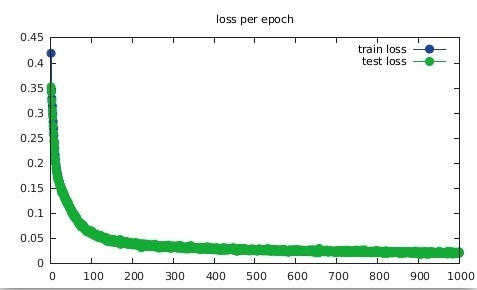 However, solving that issue and then plotting the precision-recall curve comparing to other leading face detector curves would be the correct way to proceed. You are welcome to leave any comments and/or questions which I promise to respond as soon as I can.